This is an index grid to 24 detailed maps available both on this website and on the Municipality of North Cowichan website. Click on the appropriate link in the table or list below for the detail map you wish to see. 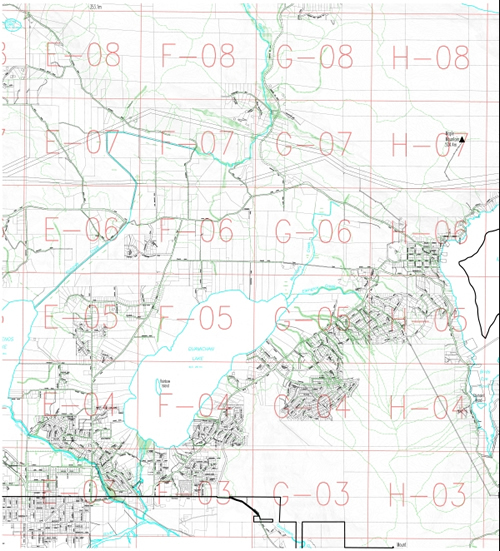 Or open the attached file, Quamichan Lake Watershed Index Map, and click on the appropriate hot spot on the map.